Thank you for supporting our songwriters and artists at the Philippine Digital Music and Short Film Festival and Awards! The digital download version of Access 2 Love is now available at http://www.pinoytunes.net/ Just register as a member and search for the album entitled Access 2 Love in the category: pop/various artists. Click Access 2 Love album image to view virtual album on Youtube. 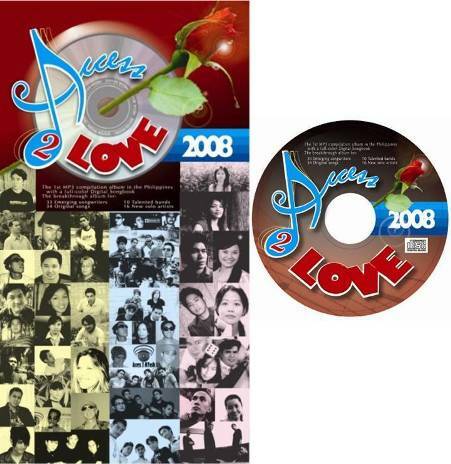 Access 2 Love 2008 is a compilation album that represents the diversity of songwriting in the Philippines, with the special participation of some songwriters from the USA. A background on how this album project came about, what Access 2 MYusik wants to achieve, and our detailed acknowledgment are presented in the “Introduction” of the Digital Songbook contained in the CD as a pdf file. It has been said that “music is a bridge between earth and heaven” and that “a song’s magic lies in its ability to affect human emotion.” We also believe that a song is an extension of the songwriter’s personality, experiences, values and insights about life; and the perfect pairing of song and artist maximizes the potential of a song to become enduring and timeless—thus we have included the songwriter’s profile, story behind the song, the artist’s or band profile and complete lyrics of each song in the Digital Songbook, the interactive feature of this album. The founding partners of Access 2 MYusik would like to thank all the songwriters and artists who participated in this album for their unconditional trust, enduring patience and full cooperation throughout the production process. We look forward to greater endeavors with you and other songwriters whose songs have not yet been heard by the public. To music lovers, please buy only original music albums and help new and struggling songwriters and artists achieve their dreams. With original optical media, you can be assured of quality sound recordings. Fight piracy and save the music industry! *The quality of the audio streaming at Youtube where we uploaded the songs from the album is not ideal. However, we assure you that the sound recordings on CD are of high quality. Due to heavy visitor traffic at Youtube in general, you may experience difficulty in viewing some of the videos of the songs. You may try to view the videos at another time. Thank you for viewing our videos. *Click album artwork to go to main menu of our virtual album on Youtube. 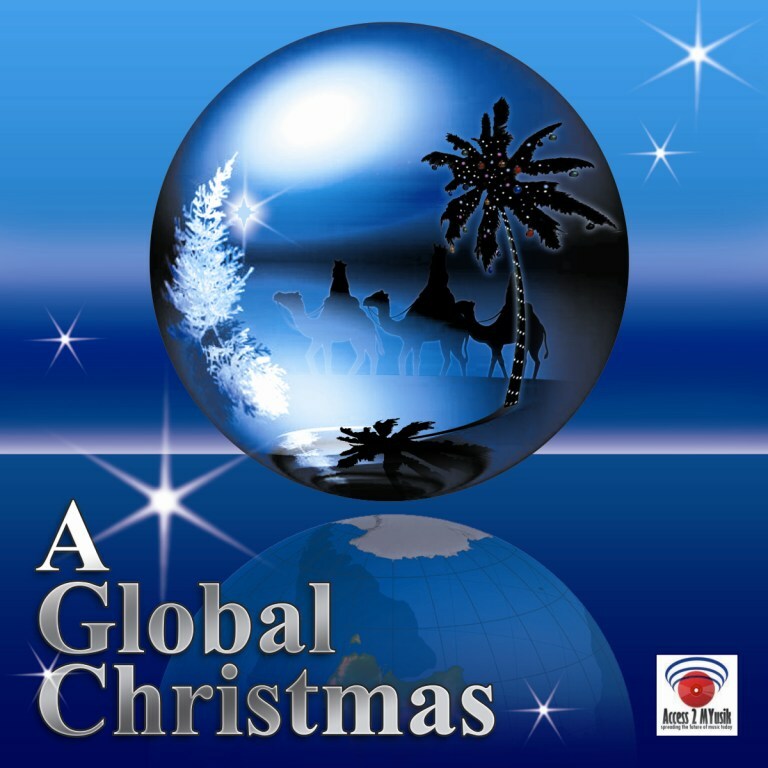 Access 2 MYusik is proud to announce the release of the 1st MP3 Christmas Lite Album in a USB Flashdrive entitled: A Global Christmas. The album involved the participation of Filipino and American songwriters, artists, arrangers, musicians, and sound engineers. The album features 9 tracks from various genres such as pop, reggae, rock, bluegrass, and country. For orders, please contact any of the founding partners via their respective email addresses or mobile numbers. Some of the songs are also available for download at the Philippine Digital Awards. This Sampler showcases some of the original love songs included in the upcoming “Access 2 Love” album – the 1st MP3 Love Songs Compilation to be released commercially in the Philippines. The full compilation will have more than 30 original songs written by more than 30 emerging Filipino songwriters. The songs deal with the many facets of LOVE and cover a broad range of genres from ballad, acoustic, folk to rock, electronica, alternative, reggae, instrumental, hip-hop, bossa and jazz – all with a pop music treatment. Participating in the full compilation are amateur songwriters, solo performing artists, songwriters with their own bands, songwriter-arrangers, and singer-songwriters who are offering new material to music lovers from all walks of life. A complimentary songbook containing the lyrics and chords of each song, story behind the song, profile of the songwriter, and profile of the vocalist/band will accompany the full compilation. This Sampler presents songs in their entirety written by Filipino songwriters and performed by their respective bands. With the release of this Sampler during the Christmas season, we have included five (5) bonus Christmas songs which also serve as a Sampler of the “Access 2 Christmas” album that will be released in the last quarter of 2008. We hope you will enjoy this “double” Sampler and spread the word about the launching of the “Access 2 Love” full compilation album in June 2008.